This Training section features Training companies, inc training consultancies; training courses; colleges. AchieveGlobal is one of the leaders in providing effective sales management training to the companies around the world. We support health & social care providers to create an environment for success by empowering the whole care team and developing health and social care quality improvement skills and capabilities. Aspiring Talent is a career and talent management consultancy servicing the health and medical communications and pharmaceutical industry. 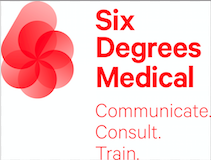 CHCR is a research centre offering healthcare communication consultancy, professional development and training including the first UK Postgraduate Certificate in Health Communications. Leading UK provider of OTC content and communication to pharmacy, publisher of 5 pharmacy trade magazines (and websites), providing bespoke training materials and marketing for pharmacy staff, pharmacy market research services. Excel Communications is a world class training and development company facilitating tailored, in-house learning events including coaching, workshops and development programmes. We enable people to transform themselves, their careers and their companies. Because Excel Communications has an international team of trainers we are able to consult, design and deliver bespoke training programmes and development initiatives globally. We help medical companies to develop the skills of their sales people to grow their business. We improve selling, negotiation, account management, presenting and coaching skills. Founded in 2001. The GalbraithWight Business School deliver boths in-house and public training programmes including the only accredited diploma designed specifically to enable managers to lead or contribute effectively to cross functional brand teams at global, regional and local level. Rapid and progressive, face-to-face, therapy & business area training programs for pharmaceutical, medical technology, biotechnology and healthcare related personnel. Leading specialist physicians and experts offer current thinking and research. Delegates are offered the knowledge they need to discuss their subject credibly and confidently. Lectures, discussion, Q&A and case studies are integral to the programs. Inspire Change have developed a range of training solutions to help pharmaceutical companies reach their goals and to develop the management skills of doctors, nurses and other healthcare leaders working within the ever-changing NHS and wider Health Community. We specialise in the delivery of quality training programmes in emerging technologies, such Blockchain, AI and Virtual Reality. Medius provides an unrivalled range of specialised business development training solutions to cater for all levels of learning. This range extends from client specific in house tutorials through open enrolment courses to the Pharmaceutical Licensing Group’s distance learning modular MSc course. MTS is an independent company specialising in pharmaceutical analysis through: online/on-site/open enrolment training courses, auditing and consultancy relating to the analytical laboratory. NHiS is the leading provider of market intelligence and insight to the pharmaceutical sector. NHiS’s products assist organisations in their understanding, engagement and optimisation of their markets. Rostrum is more than just a training company. We are dedicated to the European pharmaceutical industry, and our training courses are supported by a full range of services that help people and organisations make the most of their training. We run a large number of training courses, specifically designed to meet the needs of the Pharmaceutical and Food manufacturing industries and are focused, interactive, flexible and very cost effective. StratX creates experiential learning programs instilled with emotion and competitive spirit, leading to lasting on-the-job change. Our memorable approach develops individual competencies and fosters collective momentum for maximum business impact. The Center for Professional Innovation and Education (CfPIE) is the global leader in professional training for pharmaceutical, biotech, and medical device segments of the Life Sciences industry. We are a specialist healthcare marketing consultancy generating competitive strategies underpinned with excellent customer insight, clear objectives and measures of success with actionable implementation for your healthcare brands.